Home Articles News Scientific publications Drink coffee to prevent rosacea? New research has found that caffeine from coffee may help to prevent rosacea, a common chronic inflammatory skin disease where the skin appears red and flushed. Carried out by US, Canadian, and Chinese researchers, the new study looked at 82,737 women and collected data on their coffee, tea, soda and chocolate consumption, all of which contain caffeine. The findings, published on October 17, 2018, in the journal JAMA Dermatology, showed that there was a significant association between consuming caffeine from coffee and a lower risk of rosacea, with those who had four servings of coffee or more per day showing the lowest risk compared with those who had less than one serving per month. The association also held true even after the researchers had taken into account other risk factors for the condition. However, no significant relationship was found between caffeine consumed from other foods, such as tea, soda and chocolate, and rosacea. Decaffeinated coffee was also not associated with a decreased risk of rosacea. Caffeine has previously been suggested as one of the potential triggers for rosacea, along with hot beverages, sunlight, spicy foods, strenuous exercise, and hormonal factors. However, the researchers noted that findings from previous studies on the effect of caffeine on rosacea had until now being inconsistent and failed to differentiate between amount of caffeine consumed and between caffeinated and decaffeinated coffee. 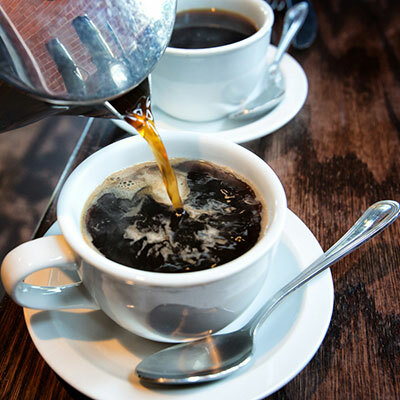 They also explained that coffee may have lessened rosacea symptoms due to caffeine’s vasoconstrictive and immunosuppressant effects, however further research is needed to understand better the association between caffeine and the condition.